ADDRESS: 9882 South Santa Monica Blvd. 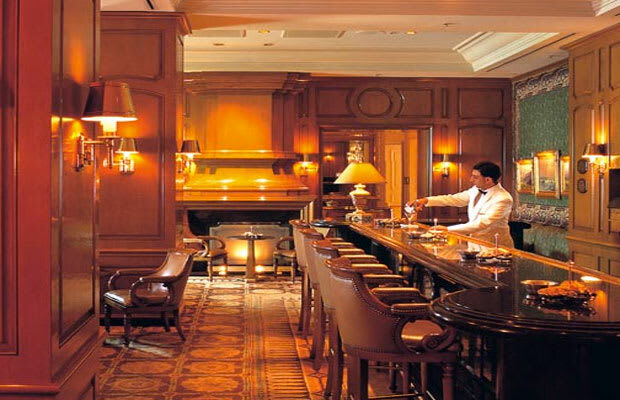 L.A. Confidential-style without all the brutal murders and dead hookers, that's the vibe at the Peninsula's Club bar. They bill themselves as catering to conneisuers, and point to their extensive wine and single malt scotch list as evidence. We're not going to disagree. This is the sort of place where the waitresses and bartenders will know your name after only a couple of visits. The service is prompt, full of care. As if you couldn't have guess that from the white-jacketed dude pouring your drinks.